1. Why do you need a storyboard? Got an Idea for an app? A product? A service? 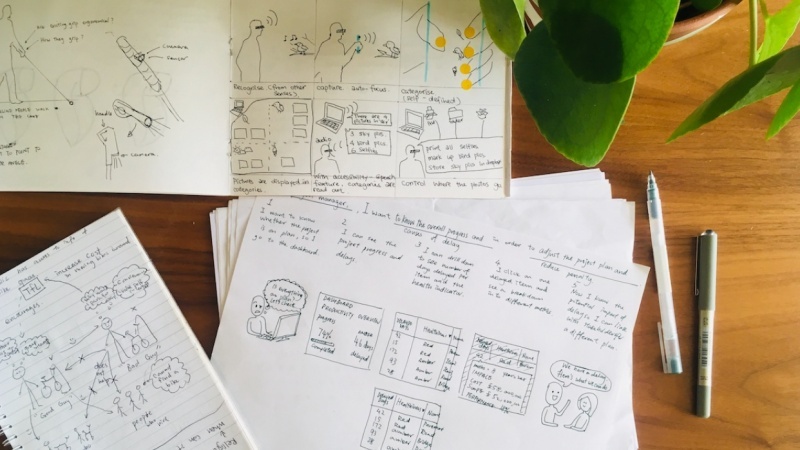 Before you quit your job, spend loads of money, hire a developer or going to investors, you can create a storyboard to communicate the real value your idea can bring to your potential users. A storyboard is a single well-formed concept with details worked out. Using sequential illustrations with dialogue copy or narrative, storyboards are a great way to demonstrate the user experience through a few key images without needing to be text heavy. Even if you have started designing or development, being able to illustrate the user journey before showing the wireframes or a walkthrough in your app helps the audience to be in the context of your users, so they can understand the value of your product. When thinking about storyboarding, most people focus on their ability (or inability) to draw. The good news is that you don’t need to be good at drawing before you start creating a storyboard. It helps if you have done some user research before we start. Storyboarding takes the research you’ve conducted, the user needs you’ve identified, the potential solution (aka your concept! ), and weaving them into a narrative, a story to test as a concept. In this class, we will create your first storyboard together, step by step. By the end of the class, you will have a completed storyboard ready to show to your potential users, stakeholders or investors. Let's go! A 5-frame scenario storyboard that describes how your user will interact with your app/idea. I'm Christie, a user experience designer and user researcher based in London. I often work in a fast-paced agile environment, researching and designing solutions that solve user pain points and add business value for clients. I have the pleasure to work with a wide range of clients, from start-ups (seed funded to Series A), charities, NGOs, to the government.